“No human race is superior. No religious faith is inferior. All collective judgments are wrong. Only racists make them.” – Eliezer Wiesel. An ugly thread twists like a lethal snake through our lives: Mass murder by a white man in an African American church in Charleston, S.C.; white cops shooting unarmed Black men; the mysterious deaths of African American women in jail; cops allowing minor encounters with citizens of color to spiral out of control; knee-jerk hostility and distrust aimed at all cops. Where did that ugly thread begin, and why? Elie Wiesel, a Holocaust survivor and social commentator, has an uncomfortable answer. All of these hateful events are fueled by the collective judgments all of us make about one another. It doesn’t take a lot of imagination to figure out where we learned to hate or distrust “the other,” any person who does not look like us. Collective judgments arose the first time a band of Neanderthals attacked a Cro Magnon encampment and ran off with the gourds. From that time on, images of bone-browed, beady-eyed, slack-jawed bad men were cited by Cro Magnon mothers to keep the kids from escaping the cave. The Boogey Man was born. The Boogey Man is thousands of years old and was usually a member of an enemy camp or nation. 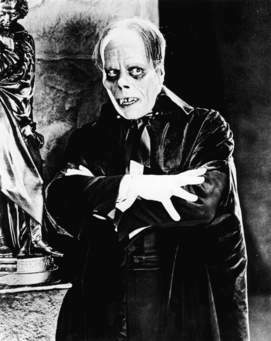 Many historians trace the Boogey Man to Napoleon Bonaparte, whose army periodically threatened British shores. Known as “Boney” by the wary Brits, he was the scariest specter English mothers could conjure when they warned their children to stay close to the house. By the time Napoleon was exiled on Saint Helena Island in 1815, he was more commonly styled the Boogey Man. There is a story that when the British caretakers on the island told their children that they were there to guard the Boogey Man, Napoleon was amused. According to some reports, he would place his index fingers on his head like horns and give chase to children as they ran giggling and screaming. The Boogey Man is emblematic of the distrust and fear we have for people who are not like us. If we are honest with ourselves, the Boogey Man is lodged firmly in our genes. Those of us who think we’re free of him are in denial. It is the Boogey Man that persuades depraved white men to launch a xenophobic war against persons of color. It is the Boogey Man that blinds cops to the humanity or persons of color and prompts them to shoot first and ask questions later. It is the Boogey Man that blinds persons of color to the humanity of cops and imagines them as fascist goons. In our culture today, the Boogey Man is racism, the collective judgment we make against persons who are different. Racism persists in our culture like an infection and many who have the most virulent strain don’t even know they are sick. I can’t begin to imagine how uncomfortable we made children of color back then. And most of us oppressors would have insisted that we didn’t have a racist bone in our bodies. I haven’t seen Tony Campolo for years, but judging from his press pictures, he’s the least changed of my Eastern Baptist College professors from the sixties. I first heard Tony say that in Soc 200 in 1968, and the notion surprised me. But as the years pass, I find fewer reasons to doubt it. I’m a racist, you’re a racist, all God’s children who grew up in the race-obsessed cauldron of American culture are racist. Now, that’s not necessarily a peculiar aberration. Racism is a sin, and we all know we are sinners who fall short of the glory of God. To deny our racism is to deny we are sinners. The next time you hear someone say, “I’m color-blind,” or, “I don’t have a racist bone in my body,” smile ironically and walk away. Of course, there are also people who are not ashamed of their racism and flaunt it on Twitter and Facebook. Certainly people in the U.S. (and elsewhere) who openly tweet their hatred are to be feared. Particularly scary are those white folks who complain they have lost their freedom and status because a black man has twice been elected president, and because the president declares a commitment to universal healthcare, economic justice, immigration reform, and gun control. Those nervous white folks have difficulty seeing that they haven’t lost any freedoms because freedom is being offered to more people. In fact, the more races, ages, ethnic groups, and sexual orientations that are empowered in the U.S. system, the more freedom everyone has. Be that as it may, the most dangerous people in America are not those who tweet their hatred openly. The big problem is people who don’t believe they are racists. That problem group may include you, me, Obama, Bill O’Reilly, Fox News, Rush Limbaugh, Al Sharpton, or anyone else who is supposed to have a dispensation from the sin of racism. But racism is the Boogey Man that haunts us all. He is the great Satan who lives in every heart, and forces us to cringe in the presence of others we don’t understand or don’t like. This reality was understood by spiritual savants and mystics since the beginning of time. That is why Hillel, Buddha, Mohammed, Jesus, and others urged us to open our minds and hearts and treat everyone the way we would want to be treated. Because we naturally distrust our neighbor, the Creator added a non-negotiable caveat to our existence: Love Thy Neighbor. Loving our neighbors and loving our enemies is the only defense against the Boogey Man. But there is no defense against the Boogey Man if we keep looking for him in the camps of persons we neither like nor trust. The Boogey Man is far closer and far more dangerous than that. When we examine our own hearts, the unpleasant reality becomes all too clear. We have met the Boogey Man. And he is us. Hi Phil,Your essay reminds me of the day in my freshman year at Syracuse when I realized that despite my feeling that I had grown up free of personal racism, I hadn’t . It wasn’t a moment of realization that I harbored bigotry toward people of color; somehow I seem to have avoided that. In school I never witnessed the bigotry towards blacks that you described at MECS, and Carol Tucker was a friend, not just a classmate.I enjoyed several visits to Carol Tucker’s house (rode the bus after school, then was picked up by my mother) to practice some duets (they had a piano) and to learn how to dance the boogaloo and other cool dances they didn’t teach at the dance school in Caz that my mother took me to. I certainly knew about racial inequality and racial prejudice, but I never felt that way about anyone. But one day during my freshman year at SU, in a conversation with my Jewish friend Mitch, who would become my roommate in our sophomore year, I used the expression “Jew “em down to a better price,” an expression I learned from my paternal grandfather, Fred Tainter (actually, he was my stepgrandfather, but my father’s actual father had died when he was a very young boy–as happened to me). My grandpa was a successful businessman (Fred’s Express) and when I heard him say that, he said it in an admiring way for the entrepreneurial virtue of negotiating the best possible deal. I never thought of it as an anti-Semitic slur. Of course my friend was aghast at that expression coming out of my mouth. But he did me the favor of remaining my good friend after seeing that I understood that my well-intentioned use of that expression was in fact a racist remark. I never said it again, and the lesson taught me to examine my thinking every time I contemplate validating a stereotype by giving it any level of credence. I’ve known for a long time that “if you grew up in the US, you are a racist” is a true statement.The corollary to that assertion, contrary to what some people think, is that racists come in all colors. If we all could start with an admission, instead of a denial, perhaps we could breakdown the divisions that mask the fact that there is really only one human race in the animal kingdom.